I’ve spent most of this week trying to trace the trail left by my Great Great Grandfather on the legal record of 1870s Victoria. In the past, I’ve considered this to be a family history project, but I’m beginning to realise it is also (or instead?) a biographical project—the protagonist just happens to be an ancestor of mine, who has been of interest to many people throughout my extended family. I’ve been researching his life off and on for the past couple of years, but with some more solid research experience behind me, I feel better equipped to know where to look for information, and to understand what I find. 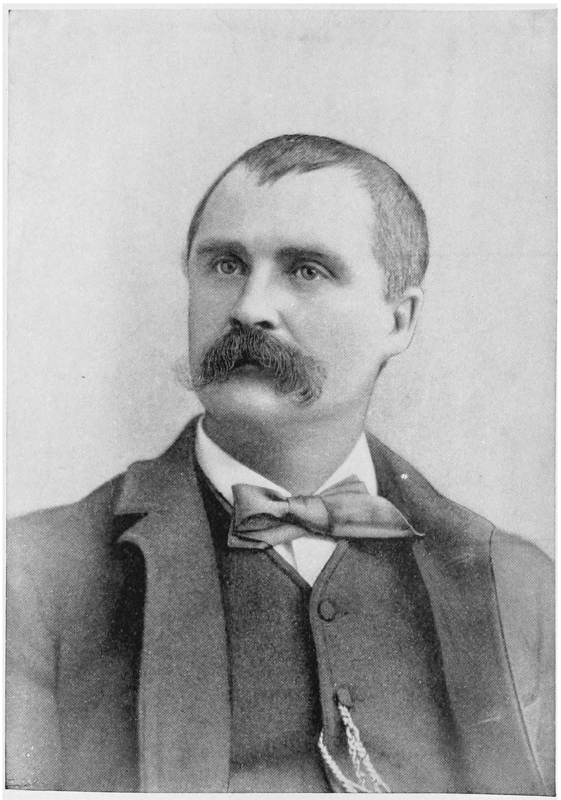 William Williamson, alias Brickey, appears in most of the books about the Kelly Outbreak in North-Eastern Victoria. (note – I’ve been selective about what I’ve read, there are way too many Ned Kelly books out there!) He was implicated in the events of the evening in April 1878 when Ned Kelly allegedly shot Constable Fitzpatrick in the wrist. Brickey was arrested the following day, along with Ned Kelly’s mother and brother-in-law. They were convicted of aiding and abetting the attempted murder of Fitzpatrick. The men were sentenced to 6 years with hard labour; Mrs Kelly got 3. The sentences were considered severe, and had no small part to play in Ned’s anger with the authorities. The presiding judge at the Beechworth Assizes was Judge Redmond Barry, who was to sentence Ned to death a few years later. I’ve been keen to find the documentary evidence for Brickey’s criminal record. Family stories abound about how and why he was involved. Understandably, the books which have covered the Fitzpatrick affair have focused on Ned and his mother’s role, with Brickey mentioned only as an aside. My aim is to uncover as much of the “truth” as I can about Brickey’s involvement, so that I can consider it in the context of his long and otherwise peaceful life. I was surprised and gratified then, when I opened the (huge) book of the Minutes of Evidence taken in the 1881 Royal Commission into the Police Force of Victoria, to find that the very first witness—the Chief Commissioner of Police—discussed Brickey’s role in detail from the outset. Brickey was not just a neighbour, he was very well-acquainted with the Kellys and their associates. As well as wondering how well he knew the Kellys, I’ve also wondered how involved Brickey was in the general lawlessness of the North-Eastern region in the 1870s. His prison record—which I managed to download from the PROV— confirms (as I suspected) that he was known to the police, and had already spent time in Beechworth Gaol before the Constable Fitzpatrick affair. Finding the prison records was surprisingly easy—I’m sure last time I looked (a couple of years ago)—I’d decided that I’d need to go to Melbourne to see a hard-copy file. I wanted to know whether Brickey was in gaol at the same time as Ned, Dan or Jim Kelly, or their various uncles and other associates, to confirm my hunch that they had all had lots of time together. They did have time inside together, in Beechworth and Pentridge. The next task is to try to get hold of the court files for Brickey’s trials, as I don’t think the cases were formally reported. I’ve seen the prosecutor’s file, which suggests that the Fitzpatrick case was handled perfunctorily, but I’d like to find out more. I’m trying not to give away too much of the story here as I hope to write a biography of sorts. But any clues, questions, or suggestions for researching criminal activities of the 1870s would be most welcome. 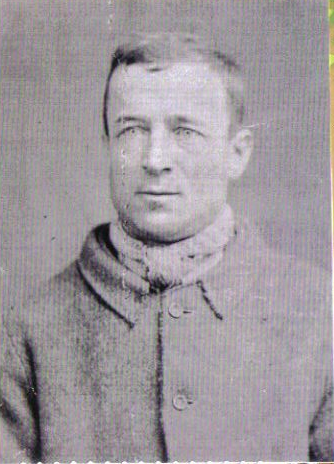 The photograph above is from Brickey’s prison file, presumably taken when he first entered the system at 25 years of age. Well, I’ve submitted my Masters thesis and am waiting on my markers’ verdict. I was pleased with how the thesis came together in the end, as was my supervisor, so my fingers are crossed for a good outcome. The final title was ‘Celebrating the Battle of the Saintes: Imperial News in England and Ireland, 1782.’ I took the newspaper reporting of Britain’s victory over the French in April 1782 in les Saintes (in the Caribbean) as a case study to examine the impact of imperial news in London, and a second site of empire: Ireland. The case study also allowed me to look at the network which passed information from an outpost of empire to England and Ireland. I thoroughly enjoyed the primary research for this project. Most of my sources were digitised newspapers, although I did need to go to the National Library in Canberra to read the Dublin Evening Post on microfiche, which felt like a blast from the past, technologically speaking. During our family holiday in England I even managed to get to the British Library Manuscripts room—with my precious reader’s ticket in hand—to read a journal from one of the British ships at the Saintes, as well as the journal of John Mair, who watched the battle and its aftermath from his plantation on Dominica. I also visited the National Archives at Kew, and read some of the personal correspondence of Admiral Rodney, who commanded the British fleet at the Saintes—including a letter from Edmund Burke. A highlight for me was the moment I realised that the pencil markings I thought had been made by a selfish scholar on the original letters, were actually Rodney’s own markings! The experience of reading original documents in manuscript is one of the reasons I am determined to continue with historical research – whether as a PhD student or an independent researcher. The theme of the class was ‘Networks of Empire and Transnational History.’ Given the centrality of networks and connections to my work, I happily did a one-day round trip from Sydney to Hobart for the class. As the convenors hinted to us at the outset, whilst I learnt a lot from each of them over the course of the day, it was interactions with fellow participants during breaks that fired my imagination the most. This underscores the importance of networking – something I never particularly enjoyed in my previous life as an investment banking compliance officer, but which I am beginning to fully appreciate in my current guise as a graduate student. Talking about my work and thoughts for research topics for my possible (fingers crossed!) PhD led to some really interesting suggestions as to how to frame my work and what kind of events and sources I might pursue. I hope I managed to spark ideas for others as much as they did for me! I was pleased to discover that I wasn’t the most inexperienced budding historian at the class, having met an honours student from Victoria with a fantastic thesis topic. I was also rather delighted to find myself in about the middle of the age range – whether that’s because it is the older grad students who have the time/money/inclination to travel, or whether that really reflects the demographic of the history post-grad student, I’m not sure. The day began with introductions, most of which I unfortunately missed (thanks Virgin Australia). Then Zoe gave us a short lecture which traced her own research journey as a PhD student, She highlighted the importance of spending time in the archive, as well as the often-serendipitous nature of historical scholarship. In relation to networks, and her own work on colonial and settler-networks, she noted how pervasive colonial networks were, how assiduously people pursued them, and how the use of a particular connection or network changed over time. She encouraged us to seek ways of disrupting the boundaries of empire in our work, and to de-centre London—one way this can be achieved is by focusing on individual lives, and rethinking biography as a tool for crossing boundaries. In encouraging us to be aware of the work of scholars in areas outside our own, she discussed the legions of connections in the past which had little to do with the metropole, or even the Empire. The class then discussed the pre-set readings – in addition to “Breaking Britannia’s Bounds,” we discussed Tracey Banivanua Mar’s “Imperial literacy and indigenous rights,” and a chapter from Clare Anderson’s Subaltern Lives. The class had a great discussion about the benefits and drawbacks of the methodologies adopted in these works. Banivanua Mar and Anderson’s work emphasised that in discussing the networks of those with little social capital in the empire, we should not be necessarily discouraged by the fact that we only know a little about some of the lives. The readings also demonstrated the fantastic work that can be achieved if a thoughtful balance is struck between individual lives and stories, and the broader themes they can illuminate. Dr Kristyn Harman also talked us through the process of researching her fascinating PhD topic of indigenous convicts, and then how she converted it into a prize-winning book. The book is on top of my post-thesis reading list. In sum, while networking may not be a comfortable experience for many people, making just a little effort to ask what others are working on, and then talking about your own work, can be hugely rewarding. Study in history can be such a solitary exercise that it is easy to forget how much we can learn from others. Tracey Banivanua Mar, “Imperial literacy and indigenous rights: Tracing transoceanic circuits of a modern discourse,” Aboriginal History 37 (2013). Kristyn Harman, Aboriginal Convicts: Australia, Khoisan, and Maori Exiles. UNSW Press, 2012. I was honoured this week to receive the Irish Famine Memorial Prize at the annual gathering at Sydney’s beautiful Irish Famine Memorial at the Hyde Park Barracks. The prize is open to Macquarie University undergraduates for work on an Irish or Irish Australian topic, or on a global problem in the modern world. I received the prize for the biography of John Boyle O’Reilly I wrote last year, for the unit ‘Representing Lives: The Genre of Modern Biography’, taught by Dr Kate Fullagar. A number of people at the Famine Memorial gathering approached me after the formalities to ask about O’Reilly’s life. In my (short!) acceptance speech, I said that it was an absolute pleasure researching O’Reilly’s life—he achieved so much, and the vibrancy of his personality and strength of his character shone through in all the sources I read. I’ve condensed my biography here, which I hope will give some idea of the adventures and achievements that comprised his tragically short life. “He was a great storm out somewhere, a great sea pushing up against the shore”: Walt Whitman. Born 28 June 1844 in Dowth, County Meath, Ireland ~ Died 10 August 1890, in Boston, USA. As political prisoners, the Fenians were separated from the criminal convicts, and entertained themselves with nightly concerts of stories, songs and poetry. O’Reilly played a key role in these diversions, and also in the production of a handwritten newspaper The Wild Goose. Many of the poems later published in O’Reilly’s anthologies were first penned for The Wild Goose; in fact the paper was so popular that an extra copy of the final edition was carefully written out for the Hougoumont’s captain and mates and presented to them just before they reached Fremantle! Back to that warm night in February 1869. O’Reilly trudged three hours through the bush, then laid low, waiting. He soon heard the sound of approaching horses, followed by someone whistling the tune of an Irish song—Patrick’s Day. With Maguire and another man, O’Reilly rode for several hours, then walked several more until they reached the coast. It was well after midnight when they waded knee-deep through mud to reach a rowing boat manned by Maguire’s cousins. The men rowed until sunrise, making it across Geographe Bay towards their meeting point with the whaling ship, the Vigilant. They ran the rowboat high up on the beach, to await the rendezvous. No food or water had been provisioned. O’Reilly had not eaten or drunk anything for over twenty-four hours. The attempt to rendezvous with the Vigilant was a disaster. The men rowed two hours to meet her out in the bay, but to their bitter disappointment she changed her course within two miles of them. They hailed her but to no avail; the whaler passed on. The group rowed back to shore, but O’Reilly’s attempted again later that night to meet the Vigilant on his own, again without success. What happened over the next few days is somewhat uncertain—in O’Reilly’s version, he was left to fend for himself in the sand dunes and bush for a number of days while Maguire came up with a new plan. Maguire’s daughter Annie Stokes remembered the story differently, however—she remembers O’Reilly hiding at the Maguires’ home for a fortnight after the failure to board the Vigilant. In any case, McCabe managed to convince the Captain of another whaler, the Gazelle, to take O’Reilly on board. Captain Gifford welcomed O’Reilly warmly and accommodated him in his cabin. As the whaler departed, Maguire stood up and cried: “God bless you; don’t forget us, and don’t mention our names till you know it’s all over.” When O’Reilly finally arrived in Philadelphia on 23 November 1869, he immediately presented himself at the District Court to file for American citizenship. He was twenty-five years of age. This is where O’Reilly’s Australian story ends, almost. He was a key figure in planning and funding the 1876 ‘Catalpa Rescue’ in which six Fenian convicts escaped from Fremantle Jail in Western Australia—rescued by the American whaler Catalpa. The Rescue was a highly organized expedition, in contrast to O’Reilly’s own escape. These two episodes, almost unique in Australia’s convict history, epitomize the determination and solidarity of the Fenians, who refused to give up on any of their number. The transportation of 62 of them to Western Australia in 1867 was part of a concerted effort on the part of Britain to drive into exile this threat to her hold over Ireland. 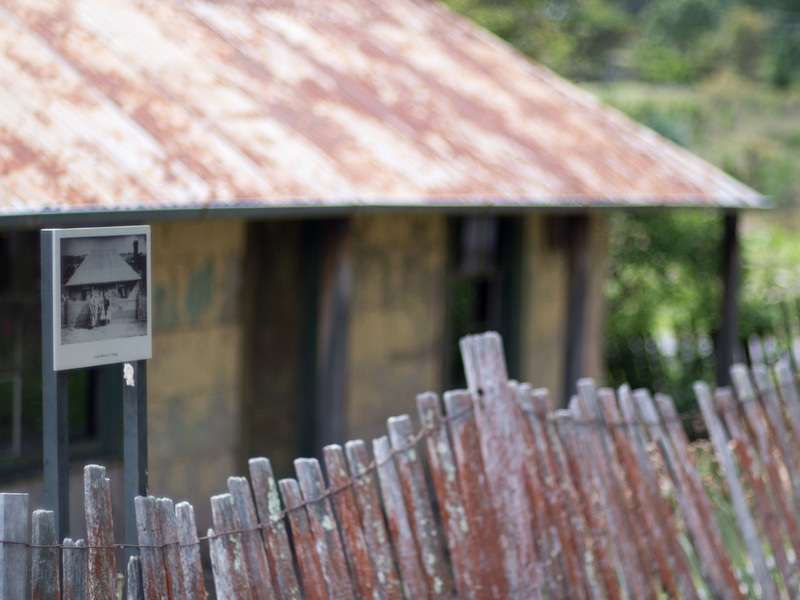 O’Reilly’s escape and the Catalpa Rescue serve as a reminder that the Australian colonies played host to the ongoing political tensions in their homeland. “Is this not the cause for deep humiliation? Earnest men have labored for years to remove that bitter old taunt of our enemies—“You cannot unite.” … We prate and boast of our “national will”! What are we today in the eyes of Americans? Aliens from a petty island in the Atlantic… Why must we carry, wherever we go, those accursed and contemptible island feuds? As well as establishing himself on the speaking circuit and in the Pilot, O’Reilly worked hard in America to pursue his other great passion—writing. He was prolific—he published four anthologies of poetry, a serialized novel, a manual on the merits of his favorite physical pastimes (canoeing and boxing), and a host of journal articles, lectures and public speeches. He soon established a network of literary friends, many of whom went on to occupy senior positions in newspapers and the arts around America. O’Reilly’s ability to gather people around him, and to inspire loyalty and affection, was a quality which he had carried with him all his life. O’Reilly became Boston’s unofficial poet laureate, busy dedicating monuments and memorials, and publicly reading his poetry. Daniel Tobin has described O’Reilly as the preeminent Irish American literary figure of his time—describing his poetry as “perhaps the last, misbegotten heir of an older Irish bardic tradition.” This tradition is anchored in a strong sense of social vocation and a public tone, and eschews the individual for the broader narrative. O’Reilly’s personal story is not explicitly documented in his poetry. Rather than dwell on his own rather exceptional story of exile, O’Reilly wrote poetry in a style with which his Irish American readers were familiar, and told stories to which they could all relate. He also used his poetry to address many of the same issues that he raised in the Pilot. During the 1880s he gained a reputation as “humanity’s friend,” with a particular interest in the plight of the African American. He used his public profile to persistently criticise American racism towards African Americans. O’Reilly concluded his poem about the eighteenth century slave Crispus Attucks with the words, “God made mankind to be one in blood, as one in spirit and thought.” He worked closely with high profile advocates of abolition such as Wendell Phillips and Thomas Higginson. In this, he worked against a wider tradition within the Irish community in America, but followed in the footsteps of Daniel O’Connell, who had famously challenged Ireland to oppose slavery, and had campaigned for abolition in America. O’Reilly was forty-six years old and at the height of his career when he died suddenly in the early hours of 10 August 1890, after accidentally overdosing on his wife’s medication. He suffered from insomnia, and the assumption is that instead of taking his own mediation, he took his invalid wife’s medication instead. A funeral mass was held on August 12. The church, sidewalks and adjacent streets thronged with a multitude of mourners, and afterwards it took more than an hour for the mourners to file past his coffin. It is easy to characterise O’Reilly as remarkable. He endured tremendous experiences, achieved great fame, and gathered around him many friends and admirers. He touched the lives of countless individuals with his personal charity and his public advocacy. His lawyer recounted how O’Reilly “could not hear a tale of woe or misfortune that he did not set himself about rectifying or relieving.” Yet he was no radical. The Pilot remained popular throughout his tenure; thus while the views he expressed on issues such as the Fenians, and civil rights may have been challenging for his readers, nonetheless he struck a chord. His public consumed his poems and his newspaper columns, they attended his speeches. In this way, he mingled fiction and poetry with commentary, newspaper reports with narrative, to envision the possibilities for the Irish in America, how they could at once hold onto their homeland, whilst engaging with America and all its possibilities. He embodied the ideal of what it was to be Irish American in the nineteenth century. This is his lasting legacy. Walt Whitman, in Gary Schmidgall, ed. Intimate with Walt: Selections from Whitman’s Conversations with Horace Traubel 1888-1892, The Iowa Whitman Series (Iowa City: University of Iowa Press, 2001). The first account of O’Reilly’s escape was written by Alexander Young in the Philadelphia Times, 25 June 1881. The article is extracted in full in James Jeffrey Roche, Life of John Boyle O’Reilly, Together with His Complete Poems and Speeches, Edited by Mrs. John Boyle O’Reilly. (New York: Cassell Publishing Company, 1891). Devoy, Recollections of an Irish Rebel (a Photolithographic Facsimile of the First Edition, Unabridged)., pp.155-156. Conor Johnston, “Review of Fenian Life on the Convict Ship Hougoumont: Denis B. Cashman on Board the Hougoumont 1867-1868, by Cw Sullivan,” Hungarian Journal of English and American Studies, Irish Issue 8, no. 1 (2002)., p.271. Walter McGrath, “Convict Ship Newspaper, the Wild Goose, Re-Discovered,” Journal of the Cork Historical and Archaeological Society 74(1969)., pp.23-24. Martin Carroll, “The Mark of Boyle O’reilly’s Escape,” The West Australian, 20 December 1952. Letter O’Reilly to Devoy, 26 May 1871 in William O’Brien and Desmond Ryan, eds., Devoy’s Postbag 1871-1928, 2 vols., vol. 1, 1870-1880 (Dublin: CJ Fallon, 1948). The Pilot, 23 July 1870, in Roche, Life of John Boyle O’Reilly. Letter O’Reilly to Devoy, Thursday, 1871. Daniel Tobin, Awake in America: On Irish American Poetry (Notre Dame: University of Notre Dame Press, 2011). “Death of John Boyle O’Reilly”, in A Memorial of John Boyle O’reilly from the City of Boston. “Crispus Attucks”, printed in full in Roche, Life of John Boyle O’Reilly. Kenneally, From the Earth, a Cry., pp.165-166. A Memorial of John Boyle O’Reilly from the City of Boston. “Remarks of Gen. Benjamin F. Butler”, in A Memorial of John Boyle O’Reilly from the City of Boston. Jennifer McLaren is a Masters of Research student at Macquarie University who has been working as a museum volunteer assisting with research for the upcoming Test of War – Royal Australian Navy in WWI exhibition. Here she recounts a search to find the people behind a set of early 20th century photograph albums in the museum’s library collection. The upcoming Test of War exhibition will showcase some photographs from the personal collection of a British Royal Navy officer posted to the Australia Station in the years before World War I. When the Australian National Maritime Museum Vaughan Evans Library acquired the photograph albums from an antique bookseller, they came with no record as to who had owned them or taken the photographs – their origin was a mystery. Session Report on Broadcasting Panel. A cornerstone of this week’s New South Wales History Week was Presenting the Past: A Symposium on History and the Media, held at the State Library of New South Wales. The symposium has its own blog which will soon feature detailed reviews of the sessions. Suffice to say I came away from the Symposium inspired about the potential for public history, education and story-telling! Dr Siobhan McHugh’s presentation during the Radio Panel in particular evoked the power of audio. She argued her case for the need to connect emotionally as well as intellectually with an audience using the medium she is so passionate about. We heard clips from radio documentaries she’d made about the Snowy Hydro scheme, with the rich variety of voices and accents of the Scheme’s workers; from Beagle Bay, which featured the voices of a child of the stolen generation, and one of the Irish nuns who cared for the children. Siobhan’s excerpt from Marrying Out reminded me of stories my Mum has told me of growing up Catholic in small-town NSW. But the most powerful piece for me was an excerpt from a program about Vietnam, in which an army nurse described cradling a soldier as he died. It took enormous self-control not to dissolve into tears in the midst of the symposium. I suspect I wasn’t alone in that. This experience took me back to a lecture that the late great Dr Tom Stannage delivered in my first-year Australian history course at UWA in 1988. I will never forget the recording he played of Aboriginal women describing the day their children were taken from them, talking about how the children’s footprints remained on the sandy ground of their huts long after they were gone. It was the most powerful lecture I have ever attended—of course that has to do with the lecturer’s skill, and the emotive subject matter, but it was the voices of those mothers that remain with me to this day. Attending the Symposium reminded me I hadn’t listed to Hindsight for a while, so I listened yesterday to The Catalpa Escape, which aired about a month ago. My connection with that story and the hold it has over me is probably the subject of another blogpost, but hearing the voices in that audio as they discussed a story I so love gave me goosebumps. Historians can reach different people in different ways, for me audio seems to evoke a deep-seated response… Surely the aim of any public history project. In 2012 Professor Bruce Scates gave an interesting interview about ANZAC Day: http://www.abc.net.au/classic/content/2012/04/20/3480525.htm Listening it to again got me thinking about what ANZAC Day means, how it’s commemorated, and how that commemoration has evolved over time. Prof Scates mentioned a soldier who had been awarded a Victoria Cross after Gallipoli, but returned from war a pacifist. Hugo Throssell’s VC was recommended for “most conspicuous gallantry” during operations on the Kaiajik Aghala (Hill 60) at Gallipoli. On his return to Australia, he was invited to open a war memorial but shocked the attendees by proceeding to advocate pacifism in his keynote speech. I was intrigued, having grown up in WA I’d never heard of Throssell. A quick search of Trove took me to this article about his return to WA— subtitled “Out of work, but never so pleased to lose a job in my life.” http://nla.gov.au/nla.news-article37605106 The journalist hoped Throssell would share his story in public…that he did in a way. Throssell was a well-connected West Australian. He was the son of a former Premier, and married to the novelist Katharine Susannah Pritchard. A war hero, he was destined to remain in the public eye. Perhaps post-war Perth wasn’t quite ready for his message. Sadly, Throssell took his own life in 1933. Like many veterans he struggled with the physical and psychological scars of war, never really recovering. As Prof Scates said, ANZAC day is a day of remembering. But it’s not just the ‘conspicuously brave’, or those who died on the battlefield that we should remember. It is the myriad of stories, with twists and turns like Throssell’s, that comprise the ANZAC tradition. Lest we forget. My first #TroveTuesday post…and I’m sticking to family history. I’ve been researching the life and times of my great-great-grandfather—nicknamed Brickie—on and off for a few years now. It’s been a somewhat frustrating search, as most of the narrative I’ve found leads back to a setting-the-record-straight-letter Brickie himself wrote to J.J.Kenneally, author of The Complete Inner History of the Kelly Gang and Their Pursuers (1929). Being a lover of evidence to back up a story and an argument, I want more than his word for it. The official record tells us virtually nothing about Brickie’s early life, but he burst onto the public scene in spectacular fashion in 1878 when he was arrested and charged—along with Ellen Kelly—with the attempted murder of Constable Fitzpatrick. The events of that night, confused as they were, snowballed and lead ultimately to Ned’s famous last stand. Was Brickie just in the wrong place at the wrong time? Or was he close to the Kelly family? My Trove search tonight dug up an interview with Ned Kelly from 1880 which I hadn’t seen before: http://nla.gov.au/nla.news-article70946696 I loved hearing Ned’s voice; the Q&A format gives the interview an aura of authenticity, leaving little room for journalistic interpretation. Ned described Brickie as “not related to us; he occupied land at Greta.” Maybe Ned was just trying to do Brickie a good turn by dissociating him from the Kelly family, but it strikes me as a dismissive assessment of Brickie’s role. But that’s my interpretation, isn’t it?! Like most families, mine has a few skeletons in the closet. Finding those skeletons has made me question whether I should really be digging up and exposing episodes in my ancestors’ lives that they most likely wanted to keep private, even secret. Is it really fair to their memory? I think the answer lies in what I do with the information. In Brickie’s case, I know that he was ultimately pardoned, so I want to finish the job and put the events of 1878 in context by finding out all I can. P.S. Trove also pointed me to the fact that the proceedings of the Royal Commission into the Victorian Police Force which ultimately granted Brickie his pardon are available at the State Library of NSW—easier (but much less fun) than the trip to the PROV in Melbourne I thought I’d have to make! Napoleon – On the Defensive? I’m looking forward to seeing the National Gallery of Victoria’s Napoleon exhibition in Melbourne in a couple of weeks. I studied Napoleon earlier this year and while I had the chance to re-assess his actions and legacy, I’m not sure I really changed my mind about him. But I did realise just how much I had been brought up with the ‘English’ version of Napoleon. I scoffed audibly during a lecture when I read Napoleon’s words “Is there any point on which I could be attacked and which a historian could not take up my defence? My intentions perhaps? He has evidence enough to clear me. My despotism? He can prove that dictatorship was absolutely necessary. Will it be said that I restricted freedom? He will be able to prove that licence, anarchy, and general disorder were still on our doorstep. Shall I be accused of having loved war too much? He will show that I was always on the defensive.” (From The Mind of Napoleon: A Selection from his Written and Spoken Words, edited and translated by J.Christopher Herold (Columbia University Press, 1995)). Always on the defensive?? But to put Napoleon’s early years in context, he was ‘installed’ at the point at which the Revolution was in danger of falling apart. France was surrounded by monarchies and Empires desperate to defeat the upstart revolutionary, ‘new’ nation. Napoleon fought the war to save the Revolution on many fronts. He succeeded in salvaging the Revolution. So initially he can perhaps justifiably claim to have been on the defensive. Unfortunately he went on to instal himself as Emperor and to sacrifice the lives of countless young men in his pointless push into Russia – it is for this military debacle that he is perhaps best known in England. Napoleon was and remains a polarising figure. I look forward to seeing what the NGV makes of him.